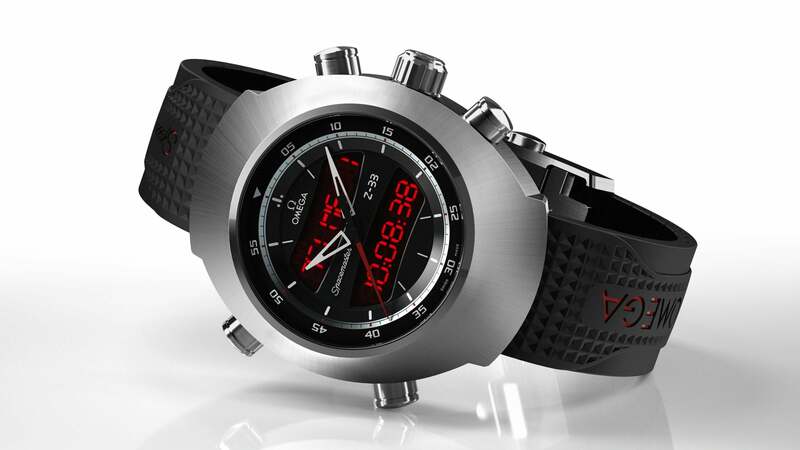 DWF - The Digital Watch Forum • View topic - Modern LED alternatives to HGWC and Kosmonauta? Modern LED alternatives to HGWC and Kosmonauta? I have been away from the digital watch scene for a couple of years. Part of the reason may have been the burglary, "liberating" me from all my (working) wrist watches. However, I recently realised a) that I have not yet bought myself a birthday present, and b) that I have yet to spend the rest of the money my insurance company gave me after the burglary. So, as you may have guessed, the devil is currently tempting me to buy a new LED watch. Since I have been away for awhile, I may not be fully aware of all the options on the market. I know about the HGWC, and I know about the Kosmonauta, but that's about it. Is there more to choose from? Re: Modern LED alternatives to HGWC and Kosmonauta? 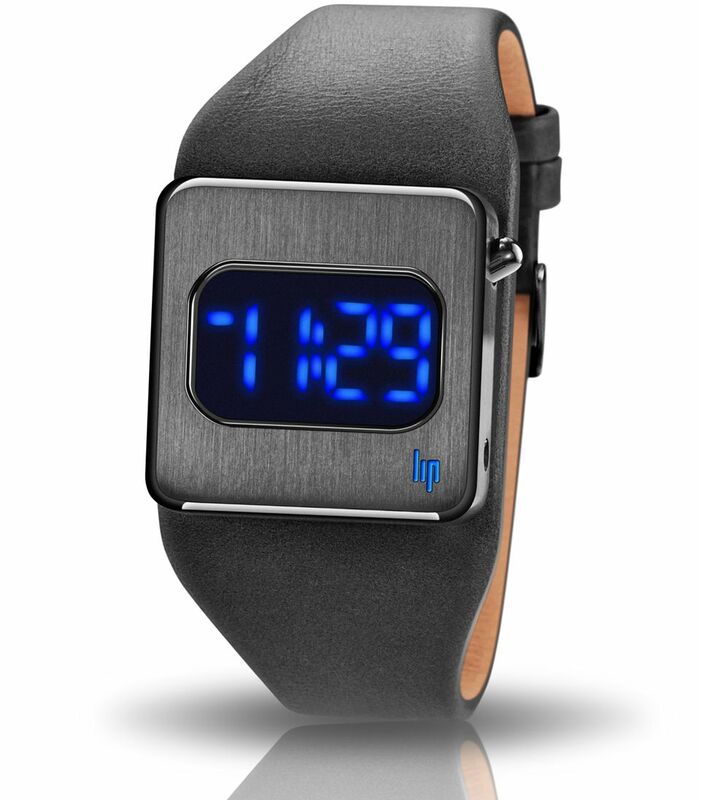 Looks similar to a "smart"-watch when the display isn't activated but is "voluntarily not connected." I would put this watch as better than cheapo but not quite up to WIS level. G. Gerlach's website no longer lists the Stainless Steel Kosmonauta as being available, only the black PVD version. I have inquired whether there will be any more Stainless versions available but have not heard back. I have ordered a black PVD because I am concerned those may run out at some point too. Did the oldpulsars.com remake from several years ago ever materialise? I never heard anything about it. 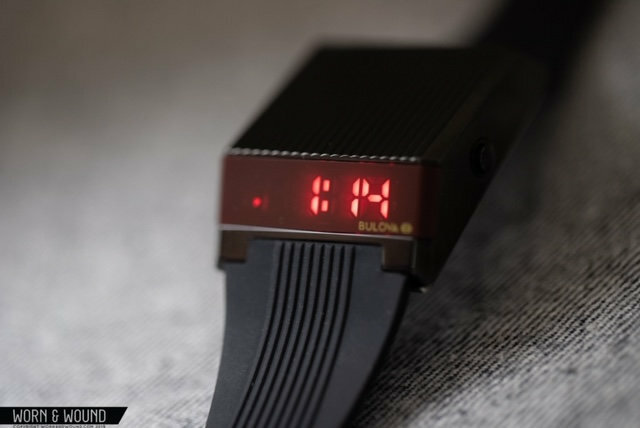 The biggest failing in modern designs is the LED display itself...the dot-segment displays were unique to the 1970's, and without them, no matter how elegant the design of the watch, it just doesn't "look right". 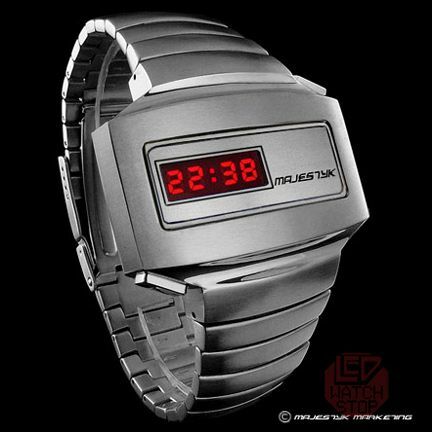 bruce wegmann wrote: The biggest failing in modern designs is the LED display itself...the dot-segment displays were unique to the 1970's, and without them, no matter how elegant the design of the watch, it just doesn't "look right". To add Information, I agree that the watch shape is a bit strange and I did not like it when I saw it on the oldpulsars Website. That totally changed when I visited Dennis twice in Florida. I saw original samples with different Display Colours. The quality and the whole appearance of these samples are stunning! I have an Inverta bracelet here in my stock and even a module to play with. I would love to give the project a kick so that Dennis could finally sell these watches, but we have different opinions on a few issues. It´s nothing special, just imagine you are a great marketing guy (and Dennis is for sure an expert here) and then you have a stupid developer who says no, change this, do that and so the project sometimes cannot be finished. There´s nothing to add, I have exactly the same opinion! I can't remember what it looks like (the Inverta) any links or pics? bucko170 wrote: I can't remember what it looks like (the Inverta) any links or pics? I did a forum search on Inverta and saw many posts going back to 2006. I think the design was ahead of its time; although there was a lot of backlash ten years ago, it now looks pretty innocuous - I would pick one up. Still looks like a swimming pool to me...the color of the LEDs doesn't do anything to divert that impression. This looks like some passable CGI (except for the finger, which looks almost mechanical)...so I'm still guessing a full proto was never done. The style of the display is also not an esthetic triumph (I understand, that to replicate the 70s-type dot-segment readout in blue LEDs would cost a fortune, but hey, this was supposed to be a top-tier watch!). My original assessment remains unchanged.